Shine the spotlight on your natural radiance! These brightening, firming favorites will reveal your healthiest skin, keep it smooth and protect it all day long. Contains 12 mini versions of our top-selling products including PreCleanse, Special Cleansing Gel, Daily Microfoliant, Multi-Active Toner, BioLumin-C Serum, Skin Smoothing Cream, Dynamic Skin Recovery SPF50, SkinPerfect Primer SPF30, Stress Positive Eye Lift, Multivitamin Power Recovery Masque, Rapid Reveal Peel and Sound Sleep Cocoon. Contains 12 of our brightening, firming favorites. I am really happy of having this one, the sizes are great, travel friendly and it allows you to try many different products for a entire routine! Highly recommend! One of the best 12 day advent calendars! Spa-like luxury! This has to be one of the best value, luxury '12 days of advent' calendars. I love the products inside, providing 12 different items, all suitable sizes for travelling with or at home in your own bathroom, giving you a spa-like indulgence in the run up to Christmas! Highly recommended; perfectly packaged and presented too! 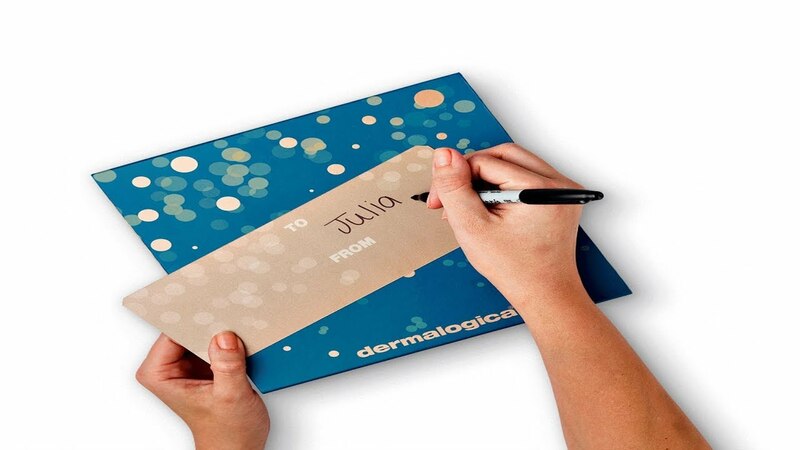 A beautiful gift Dermalogica! Amazing! A huge shame there aren't 25 haha! I love this! It is so much fun and a great way to try products from Dermalogica. I am a huge fan of the product so I'm probably bias, but it's a fantastic gift for those who don't eat chocolate or perfect something useful and helpful this Christmas. can they be used by pregnant women?